There is sooo much stuff is happening right now I can’t even tell you so i will be brief and show you a cute little project . It s a little mug holder perfect for a hot chocolate little treat. I love to make these at this time of the year either for craft fairs or just to have on hand for giving away. Have you been checking the MDS happenings recently? Stampin’Up! have launched three new MDS classes and they are fabulous. If you are new to MDS or already on your way you will find these classes both helpful and informative.There are three to choose from and you can see them all HERE, I love the Finest Simplicity Class :). I hope it tickles and I hope I will be back soon with some more pretties. Thank you so much for your patience and for your visit today. 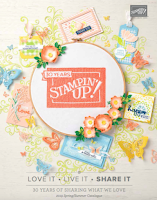 Supplies list : All Stampin’Up! I love it! Would you share directions for the mug? Please! love it! Would you share directions for the mug? Please! would love instructions on how the actual mug was made. this is great! would love to know how to make the mug, this is great! I love it what a cute gift for nursing home. I hope you will share the directions for the mug. Thanks for all of you great ideas. This is super cute and perfect for small work colleague gifts instead of a simple card. Haven't visited you for YONKS Monica but you are still as fantastically creative as ever!